Here’s what I received: One bag of Organic Blue Corn “TorChia” Chips by Whale Tails, three YummyEarth Lollipops, a jar of Chipotle Ketchup with Organic Agave Nectar by Montebello Kitchens, one package of Sweet Corn Crunch – Dried Snack by Sensible Foods, a pouch of Sweet Orange & Citrus Sunburst Green Iced Tea by Mighty Leaf Tea, a pack of Organic Spring Jasmine Tea also by Mighty Leaf Tea, a handful of Patriotic Poppers (candy), and last but not least Milk Chocolate Hot Fudge Dessert Topping by Sanders Candy. First of all, anybody would love the tortilla chips from Whale Tales- why? Because they are literally shaped like a whales tail! They’re super cute, so kudos to Whale Tails clever product design. Stone ground organic blue corn infused with nutty chia seeds makes these chips not only a healthy, but a hearty, and crunchy snack. The younger sib’s got to the YummyEarth Lollipops and the Patriotic Poppers- which they claim tasted great! I’ve heard a lot about Mighty Leaf Teas in magazines and all over the interwebs, but hadn’t actually had a chance to try it until now. So is it worth the hype? In a word- yes. The most surprising product that I’ve completely fallen in love with is the Sweet Corn Crunch snack. It’s so good, it’s pretty unbelievable how good it is – especially because it’s such a simple product. The ingredients literally read “%100 Sweet Corn, Sea Salt and Nothing Else.” – but everybody in my house, and I’m talking people of all ages, LOVED this. Low fat, gluten free, low calorie, naturally sweet and tasty- this is a super grab and go snack and now one of my favorites! The last product I received was the Milk Chocolate Hot Fudge Dessert Topping by Sanders. If I were to hoard something ever in my life, this would be it. Sweet, chocolatey, with the distinct mellow flavor of being made with cream – well, I’m guessing here, as their recipe for this one has been kept a secret for over 100 years – Sanders has managed to bottle pure happiness with their dessert toppings! 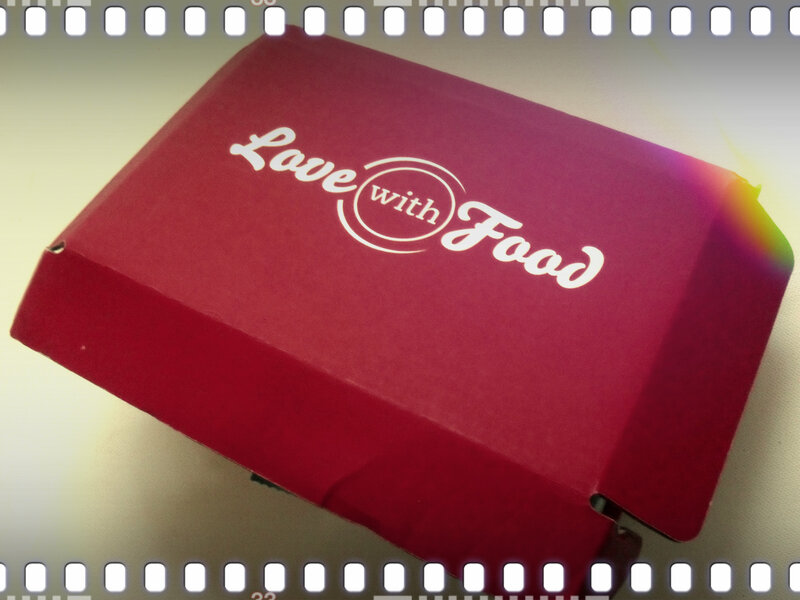 Want to get your hands on a Love With Food box? Sign up here – for every box purchased Love With Food donates a meal to a hungry child through Share Our Strength and Feeding America! Previous Post My BlogHer ’12 Bag! Next Post Petit Amuse Food-Lover’s Box Giveaway! Ends 8/10! this looks soooooo good!!! im jealous! thanks for the info though! maybe i will get to try it someday!